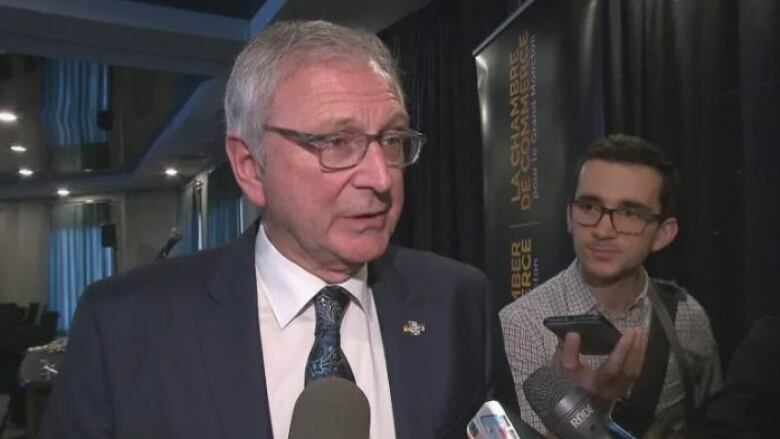 New Brunswick Premier Blaine Higgs is taking on the federal Department of Fisheries and Oceans on behalf of CAST and contentious-salmon stocking proposal. 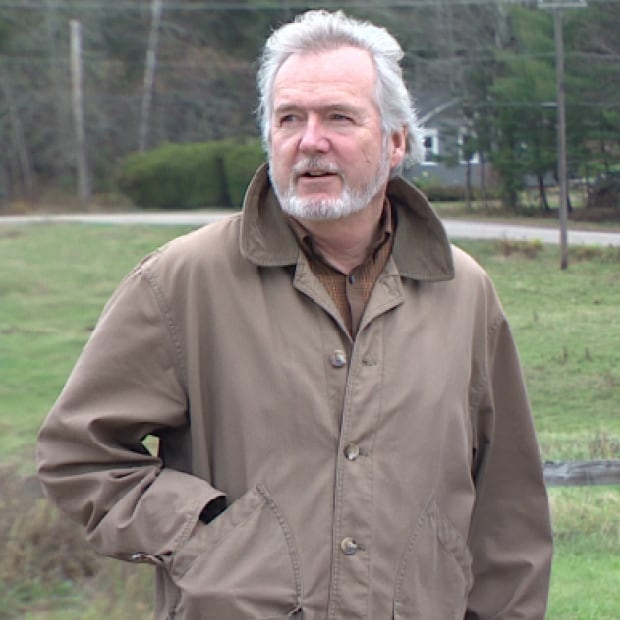 New Brunswick Premier Blaine Higgs is taking on the federal Department of Fisheries and Oceans on behalf of a contentious salmon-stocking proposal for the Miramichi whose proponents are mired in a dispute with the department. The premier raised the CAST project directly with Prime Minister Justin Trudeau during a meeting in Ottawa on Tuesday. "We have depleting stocks and we're not managing them to try to recover them," Higgs said in a followup interview with Information Morning in Fredericton on Wednesday. The department refused the necessary permits to allow the stocking program to proceed in both 2017 and 2018. CAST, which stands for Collaboration for Atlantic Salmon Tomorrow, is a non-profit company launched by Jim Irving, of J.D. Irving Ltd., Glenn Cooke of Cooke Aquaculture and businessman Brian Moore. 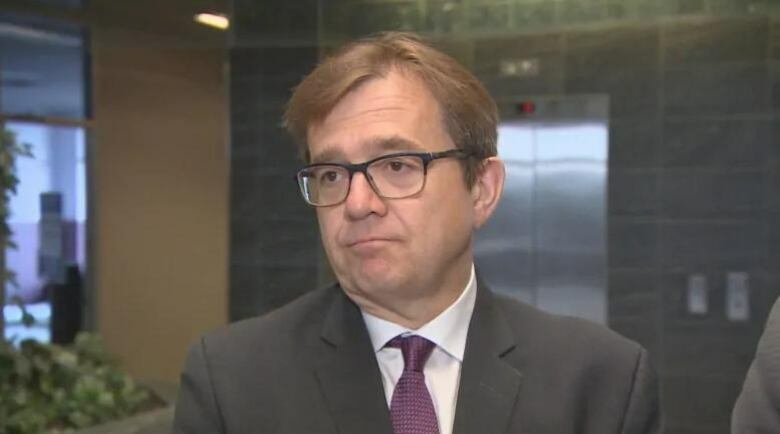 Federal fisheries Minister Jonathan Wilkinson made it clear in an interview Wednesday that little has changed since last year's decision on the application. He said the department had concerns related to science and to the role of First Nations, and they haven't been addressed by CAST. "We need to ensure that First Nations were part of this conversation and were supportive of the proposal," Wilkinson said. The department also wanted assurance the stocking project won't lead to a "weakening of genetic stock of wild salmon," he said. CAST is working on the project with the Miramichi Salmon Association and scientists with the Canadian Rivers Institute at University of New Brunswick. It proposes stocking the river with salmon captured as three-year-old smolts and raised to adults in a hatchery. The plan would see the fish, when they were five or six years old, released into the river where they were captured to spawn. In the hatchery, the fish would be spared the dangerous ocean journey from which few wild fish return to spawn. The stocking project is opposed by Miramichi-area First Nations, including the umbrella group Mi'gmawe'l Tplu'taqnn Inc., and by the Atlantic Salmon Federation because of concerns the fish raised partially in a hatchery may weaken the overall wild population. Similar adult stocking experiments have been successful in southern New Brunswick rivers flowing into the Bay of Fundy, but in those cases there are few wild salmon left that might be affected. Higgs nonetheless said he feels the project can be launched in the Miramichi even though an active wild population remains in that river system. "We're asking, maybe we should take this over, working with First Nations and other locals that know the industry and the fishing industry well. "I don't want the salmon to completely disappear and then say, 'Where were we?' I'd like to do something well." 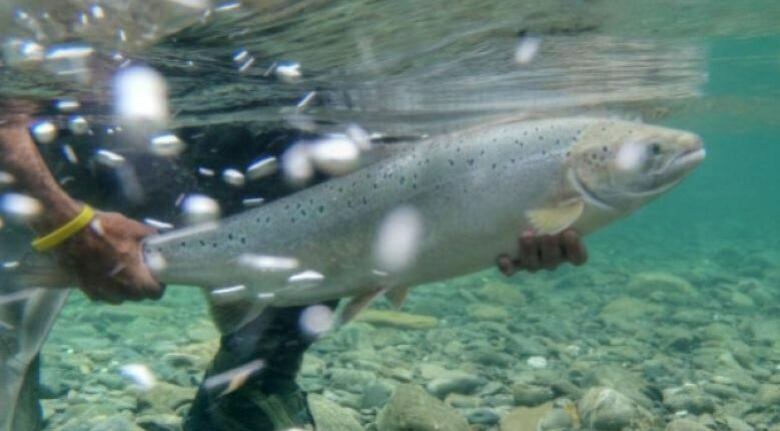 Neville Crabbe, a spokesperson for the Atlantic Salmon Federation, said the organization welcomes more involvement by the provincial government. "The province has the venues, has the connections to get in there and be heard and bring their good ideas to the table," he said. "I think everybody would welcome that." But it would not be practical for the province to assume control of management of the rivers, displacing federal scientists and staff with its own. According to Higgs Trudeau said he would discuss the CAST file with the Fisheries Department.